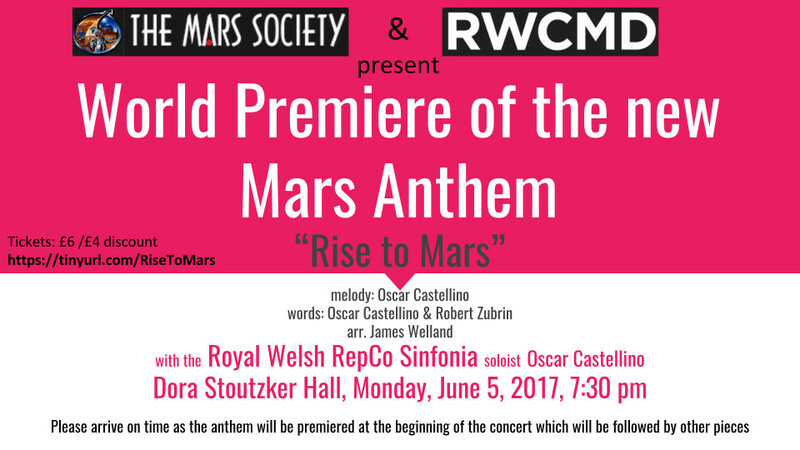 "Rise to Mars celebrates the power of human enterprise and hope. It emphasizes the need to rise above petty struggles and spreads the message that Mars can be a home for future generations. Not only that, we found the anthem to be very singable with a memorable and motivational tune. It's truly a "Marseilles" for Mars! I would not at all be surprised if it someday became the national anthem of the Free Martian Republic. It certainly is going to be a favorite among all those pushing for a human future in space now and for years to come,” said Dr. Zubrin.